Consumer Electronics Warranty Report: The traditional radio and TV makers are gone, and even laptops are giving way to smartphones. So it's no surprise to see the bulk of the industry's warranty expenses shift from Hi-Fi to Wi-Fi. But that expansion also drags in lots of business-to-business sales as well as heavily-exported product lines into the analysis. Consumer Electronics Warranties: Most of the best-known brands are imports. Most of the domestic brands are made by computer, appliance or telecom companies. Most of the emphasis is on sales of service contracts. So how can we analyze just the product warranty expenses of U.S.-based consumer electronics manufacturers? International Warranty Costs: What you make matters more than where you make it. As in the U.S., the makers of appliances, computers and telecom gear have significant warranty costs. But for most consumer electronics manufacturers, warranty is not such a significant burden. Warranty Reserves vs. Accruals, Part Two: A handful of computer, electronics and data networking companies have gotten very good at controlling their warranty funds, both in terms of how much they set aside and how much they keep on hand. Others just take their best guess and hope it all turns out well. The Abt Experience: Not content to merely collect a sales commission and be done with it, Abt Electronics keeps tight local control over its extended warranties and service organization from a single location. And customer loyalty? We're talking customer love. Consumer Electronics Warranties: While most of the brands are imports, there is a short list of American CE manufacturers. But while the Japanese brands have relatively low warranty expenses, the American brands pay claims at rates more like those seen in the computer and automotive businesses. Computer & Electronics Warranties: As is the case in automotive, those with their brand names on the outside end up paying most of the warranty claims. But the computer OEMs don't pay out as much as some of the printer companies or the makers of high-end semiconductor production equipment. 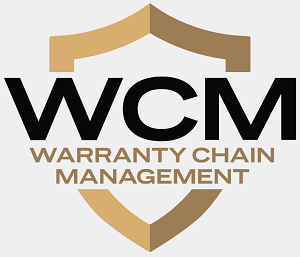 Warranty Promotions: Once an afterthought for both manufacturers and customers, warranty is becoming the simplest way to express the quality of a product. Lengthened warranties, which began as a bid for market share by certain auto importers, are now spreading to computers and home electronics. 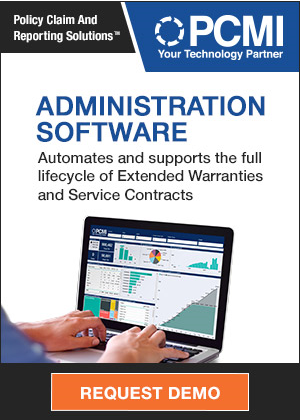 The Accidental Warranty Software Developer: Manufacturers pressure an electronics testing software vendor to do more to help them avoid warranty costs. As has happened to so many others, they find themselves pulled into an industry they barely noticed was there all along.